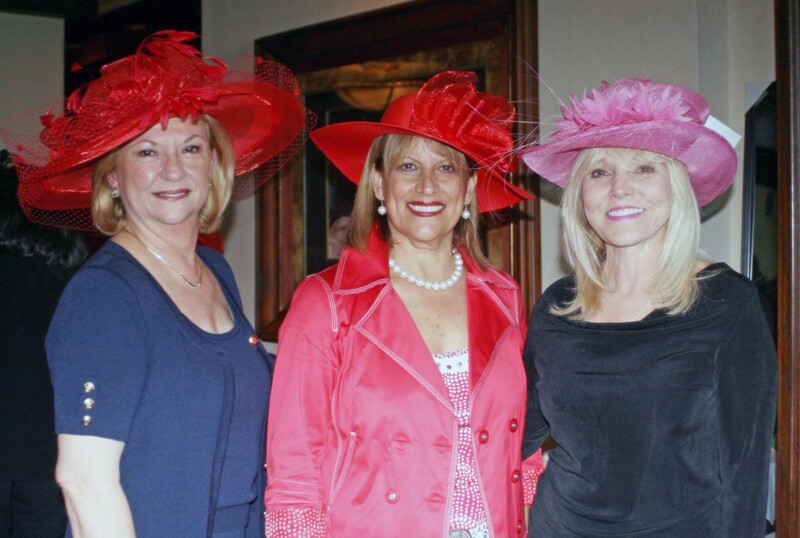 On March 10th, more than 50 members of The Opera Society celebrated our annual Mad Hatter’s Tea at the Tower Club, organized by Chairmen Helena Caplan and Beatriz La Rosa, and their wonderful committee: Maria Maribona, Ruth Molina, Noorina Mirza, Fatos Mullen, and Betty Young, who underwrote the expenses. Guests were greeted by a beautiful display of hats for sale by Noorina Mirza as they sipped champagne and sampled delicious hors d’ouerves. Many ladies bought lovely hats! Noorina generously donated a portion of the sales back to The Opera Society. After tasting different types of tea and nibbling on delicious sandwiches and scones with jam and cream, KayeLynne Northcutt began the hat competition. There were several categories, such as glamorous, historical, original design, and period, which guests chose to enter. Winners were chosen by our distinguished panel of judges Captain Donald Pizinger, Pina Ackerman, of Pina’s Boutique on Las Olas, and Jean DiBona. Enjoy the lovely pictures of the day! !